The purpose of the Climbers' Access Society of British Columbia is to facilitate access to the cliffs and mountains of BC, to conserve the cliffs and mountains of BC, to support the use of said cliffs and mountains by the public and to construct and maintain trails, facilities and structures within the mountains. CASBC is the only Provincial body exclusively dedicated to climbers and their access issues. With your support, we supply new route gear, refro-fit existing routes, build trails and attend stakeholder meetings to ensure your favourite crag, cliff or mountain is accessible. 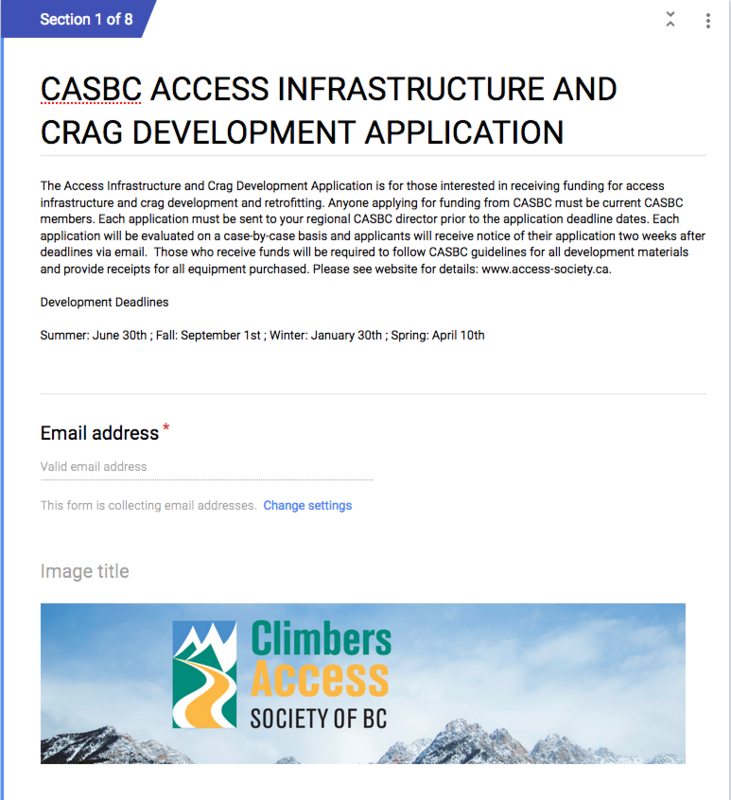 Our Access Infrastructure and Crag Development Application is open. Click on the image to the left and request funds for your crag development, adopt a crag or other.